Great Plains’ new Saxon CDA minimal disturbance drill has been awarded first prize in the cultivation and drilling category of the prestigious International Machinery Manufacturers Awards (IMMA) for 2016. Now in their third year, the independently judged IMMA awards, which are operated by the organisers of the Cereals event, recognise and reward the innovation and development of machinery products within the arable industry. Equipped with the Great Plains Turbo Coulter discs, which are at the heart of an innovative and unique ‘zonal cultivation and seeding’ system, the Saxon CDA drill is designed to meet the need for minimal disturbance and, if required, for cutting through and drilling into high volumes of residue. This makes the drill ideal for use in cover crop rotations where minimal soil disturbance is necessary to help prevent the emergence of yet-to-germinate grass weed seeds. Available in 3, 4 and 6 metre working widths and in both grain only and grain plus fertiliser variants, the drill boasts a further flexible feature, which provides the user with the ability to quickly and easily change the Turbo Coulter discs for conventional notched cultivation discs, as fitted to the Saxon’s sister drill, the Centurion. 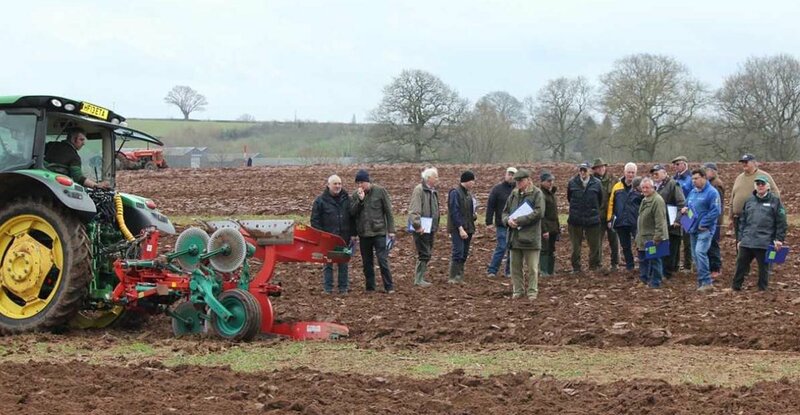 This feature has been extremely well received and converts the Saxon into a traditional European cultivator drill with maximum disturbance across the full width. On receiving the award from IMMA judge Peter Redman, David Holmes, Sales Director for Great Plains UK, said: “We are delighted to win this important award in what was a very strong category. This accolade from IMMA recognises the excellent work being done by the Great Plains design and engineering teams with our Saxon and Centurion drills ranges.